Mark the beginning of spring along with China with activities and crafts for kids that help teach about the Far East. 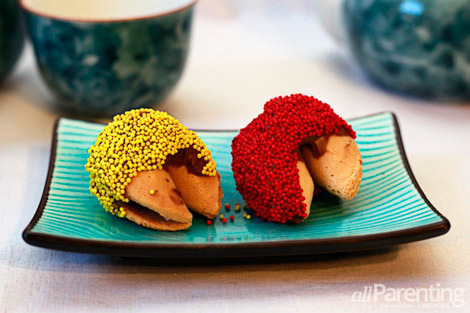 From decorating chocolate-dipped fortune cookies to learning about the animal of the year, discover four Chinese New Year activities for kids. 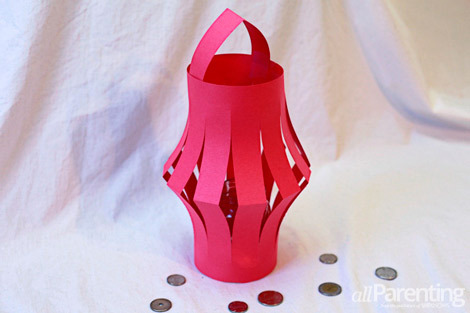 Paper lanterns are a staple for many Chinese festivities, but you can also substitute construction paper with patterned scrapbooking paper for a gorgeous upgrade to this Chinese New Year craft for kids year-round! Fold the construction paper in half lengthwise and crease. Help your child make straight cuts starting from the fold line in 1-inch intervals, each stopping an inch before the open edge. Unfold and tape the ends together, with cuts running vertically along the lantern. Cut a separate strip, 1-inch wide and the same length as your paper, and secure the top to form a handle. Hang lanterns with length of string or place on the table over a tea light holder to decorate for Chinese New Year in a jiffy! Dragons are a symbol of power, strength and good luck, but are also synonymous with Chinese New Year. 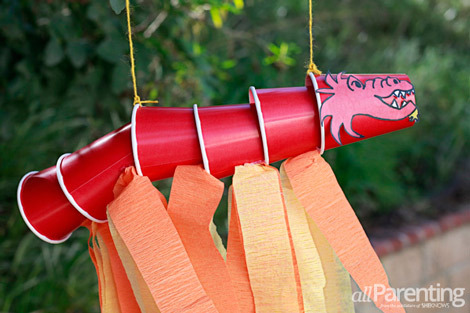 This craft for kids, originally found on jellyfishjelly.com, makes learning about this Far East festivity fun while doubling as a festive decoration for your celebration! Using a skinny screwdriver, poke a hole in the bottom of each of your paper cups. Starting from the open end of your cup, thread your string through the hole, followed by a cardboard tube. Continue to alternate until all of your cups are used. Knot the string at each end. Using your piece of paper, draw a profile view of a dragon's face, cut and glue to your paper cup head. You can find plenty of dragon head templates online if you want to print it out instead. Attached lengths of streamers along the belly side of each of your paper cups. Using your hole punch, create a hole in the front cup and fourth cup to attach two pieces of equal-length string to your puppet. Tie loose ends to either end of a chopstick. Secure with glue to ensure the string won't slide off. Hold the puppet by the chopstick handle and your kids can help it fly through the sky as they celebrate Chinese New Year! 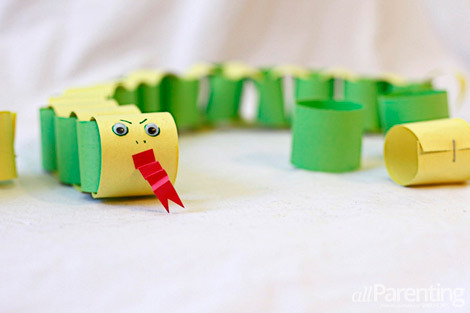 Activities for kids can combine learning with fun when you create a snake out of simple paper chains to honor the year of the snake on the Chinese New Year calendar. Cut several equal lengths of construction paper in the colors of your choice, measuring 1-1/2-inches wide by 6 inches long. Starting with one strip of paper, make the ends meet and secure with a staple or tape to create a loop. Take a second strip of paper, feed through the original loop and secure to its own end to create a second chain. Continue to create desired length. Cut a strip of red paper, accordion fold and glue to the front of the first loop on the chain to form a tongue and glue on wiggle eyes if desired for a snake that symbolizes this year's lunar calendar. Place melting chocolate or chocolate chips into a double boiler and stir until melted. Helping your child hold the end of a fortune cookie, dip half of the cookie into the melted chocolate. Immediately dip into sprinkles or colored sugar before chocolate coating hardens. Place on waxed paper to dry for a sweet and easy Chinese New Year kids' activity you can make year-round!